Have you ever been on a roller coast so powerful it keeps you from breathing, and the only time you’re able to take a deep breath is once the ride is over? Now, try to imagine that feeling for 2hrs 40mins! Every scene in this movie has a purpose, may it be linking characters, explaining motives or setting the stage for what’s to come next. Even with this movie being so long it left me wanting more. 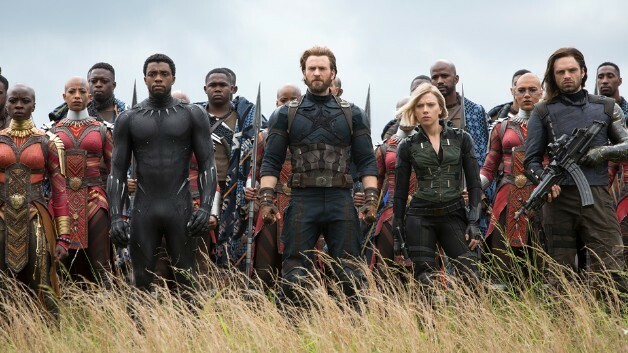 I’ve heard repeatedly “Avengers: Infinity War is an unprecedented cinematic journey ten years in the making, spanning the entire Marvel Cinematic Universe.” However, I truly had no idea just how vast this universe was and to see it all come together for such an epic showdown was just unbelievable. The best thing about the movie was that each character had a purpose and none of them joined together because their mothers had the same name. As always, each actor played their character extremely well, after all, they’ve all have had years in honing in on what makes their character do what they do and why. Although each character from Captain America to Groot was played flawlessly, the real show stopper has to go to Josh Brolin as Thanos; he really brought this character out of the pages like nothing I could have imagined. By the end won’t know whether to cheer or cry but what I can say is your mouth will be left wide open in complete amazement.